Name meaning: Rungus is a native race which is the majority population in the northern part of Sabah. History: Arrived at the BSBCC on the 12th of November 2010. She was surrendered by the Victory Mini Zoo Farm in Kudat, North of Sabah. She was brought to our attention following the efforts of Australian Mrs.Reanne Potter and her husband. Personality: She is very gentle and has a ladylike behavior. Rungus is always relaxed. She has such a bundle of enthusiasm and spends her days in joyous play with her bear-mates. She enjoys the forest so much! 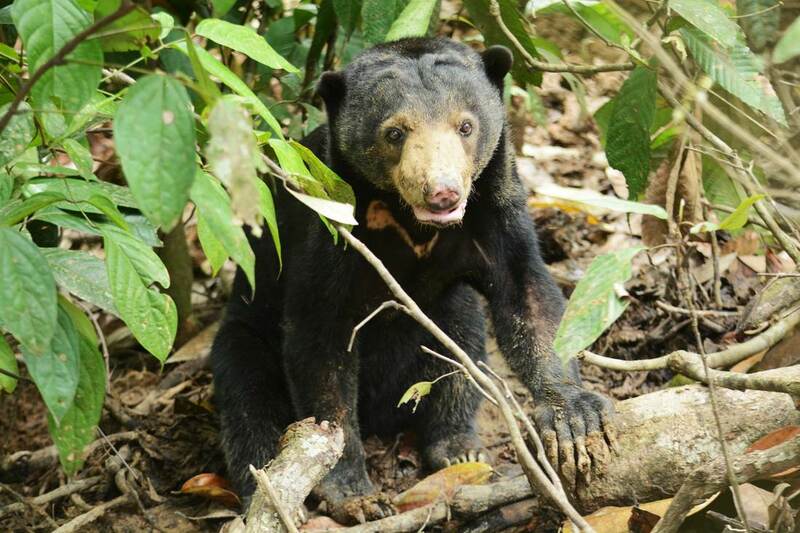 Rungus is also an expert in climbing and sometimes she will build a tree nest to enjoy a snack of young leaves. She often continues picking the tastiest leaves and eating in the same tree for a long time. Her enthusiasm for forest life is a delight to see. She has made excellent progress in the forest which she will need for returning to the wild and we have chosen her as a release candidate! Identifying mark or trait: Rungus has a small split on the left side of her tongue. Rungus is available for MY BEAR adoption.